Bird watching; Akagera National Park after Nyungwe is the most significant ornithological site in Rwanda. 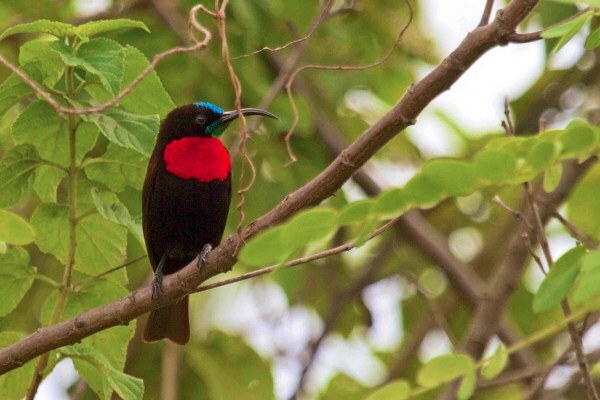 Morning and evening bird safaris on the game tracks in Akagera National Park offers an excellent opportunity for birdwatchers to have an account of wide- selection of savanna bird species. This park is most popular for its richness in water birds in the East African region and one of the exceptional places to view papyrus endemics. Some of the common species on this birding watching safari are; black headed gonalek, heuglin’s robin-chat, crested barbet, the gorgeous lilac-breasted roller, grey hornbill, Ross’s turaco, and many more. 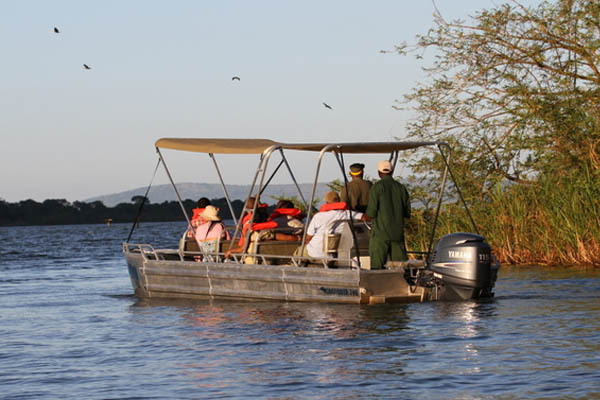 Short boat trips; AKagera national park surrounded with various Akagera’s lakes also gives room for short boat trip. This offers an opportunity to get close to the plentiful water birds including numerous African fish eagles, open-billed stork marabou stork, cormorants, crowned cranes, egrets and herons. On good day visitors may even get to see the elusive shoebill stork. 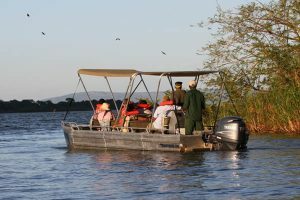 Boat trips along the shores of Lake Ihema, Rwanda’s second largest lake, yield some great aquatic bird sightings and you can even fish on Lake Shakani. Fishing; Lake Shakani is the site for the fishing activity; visitors to this park can spend relaxing day fishing off the lake shore and then cook their catch over an open fire at the campsite. 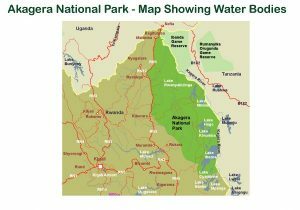 Akagera river and wetlands ecosystems; The Akagera River is the biggest tributary of Lake Victoria contributing 34% of the lake’s inflow. 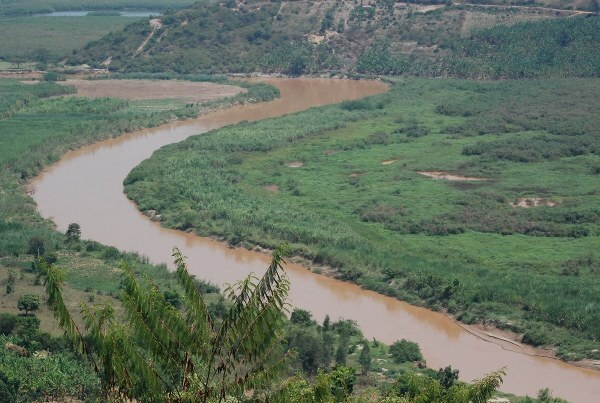 The Akagera river basin covers 60,500 Square Kilometers of the portions from four countries namely Burundi (13,790 Km2), Rwanda (21,630 Km2) and Tanzania (20,680 Km2) and Uganda (4,400 Km2) and comprises four hydro geographical zones; Congo-Nile divide, Hills and mountain foot ridges, Swamps and lake terrain and west Victoria lake region. The river basin is sub-basin of Nile basin. 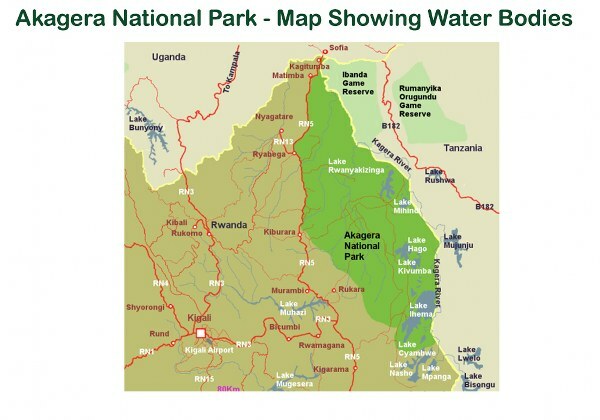 Basically, the river Akagera starts in the swamps and lake terrain zone and has three (3) main tributaries, including Nyabarongo, Akanyaru and Ruvubu rivers. This zone is dominated by papyrus swamps, lakes, open water and the river itself. 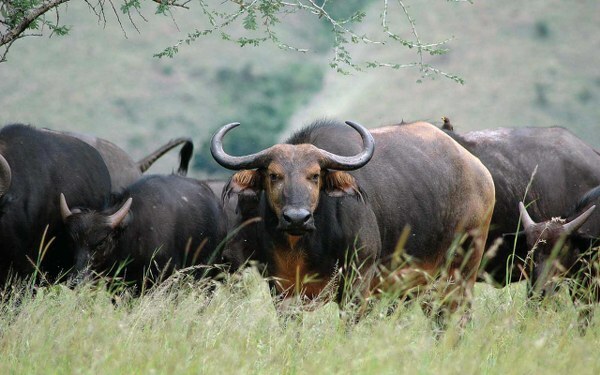 Akagera swamps-The swamps are dominated by Cyperus papyrus and Phoenix reclinata and the habitat is home for rare Shoebill (threatened to extinction in Rwanda) and other water birds, wildlife species like hippos, buffaloes, giraffes, impalas and Sitatunga. The Akagera wetlands are the site for migratory water birds. The wetlands offer to the communities number of goods and services such as water for domestic use, fishes, rice, raw materials for handcraft-making, grasses for livestock ,etc ;and water storage and purification, flood and erosion control ,carbon sequestration, climate regulation and recreational services. Although these critical ecosystems are very important, they are threatened by reclamation, over exploitation, pollution and introduction of invasive species driven by high population growth and density and poor management plan and policy. 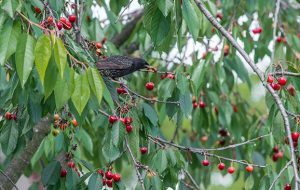 This is aggravated by the effects of climate change that impact poor communities and get them highly dependent on ecosystems to survive. Akagera National Park is 120kms about 2-3 hour drive from Kigali and can be visited on a long day trip if you’re short of time. 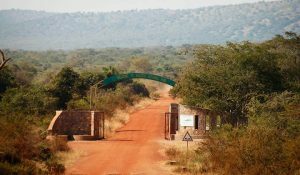 The only entry to Akagera National Park is via Kiyonza Gate in the south, close to the Park Headquarters and Akagera’s best lodge. Nyungwe Gate in the north is currently only available to exit the Park. Akagera Game Lodge lies in the North East of Rwanda within the 90 000 ha Akagera National Park. The Lodge sits conveniently on a ridge overlooking Lake Ihema amidst a mosaic of grass, bush and varied terrain of hills, deep valleys, lakes and marches. The lodge offers premier accommodation in Single, Double, Twin, Family, Executive suite, and a luxury in cottage, each with its own patio overlooking Lake Ihema, allowing one to witness a magnificent sunrise or sunset in true African style. Decorated with a charming African flair, each room contains two beds writing desk, chair and satellite TV. All rooms have been individually interior designed along pan-African themes. The hotel provides itself on its caring guest relations and housekeeping services and the highly trained team of local staff are responsive, courteous and efficient. Each room has been carefully laid out to maximize space and privacy with comfortable beds, freshly laundered sheets and attractive decor and lighting. The private bathrooms are well appointed. The hotel has dining area called Shoebill Restaurant which is built with charming, cool atmosphere and serves an exquisite cuisine in the form of à la carte menu or Buffet meals for breakfast, Lunch and Dinner. The Elephant Bar which is found in the adjacent areas to the shoebill Restaurant, offers visitors with a retreat area from the heat during day hours. The elephant bar offers comfortable heaven for quiet moments at night, with magnificent views of the African starlit sky. Recognized as a superior venue, Akagera Game Lodge offers a superbly relaxed atmosphere, ideal for a successful conference, a tranquil gateway or an undisturbed encounter with nature. Conference facilities: State-of-the-art Conference facilities seating up to 100 delegates. The new Ruzizi Tented Lodge was opened in November 2012 and it’s situated in the riverine forest on the edge of Lake Ihema which is Akagera’s largest lake and Rwanda’s second largest lake. This small private camp offers seven (7) en-suite tents which can accommodate a maximum of fourteen (14) visitors. Found along the forested lake edge, sheltered by swaying palms as well a large trees, the lodge’s tents are well spaced on the either sides of a thatched reception area with a lounge as well as bar and dining room. All the tents are have addressing area, en-suite bathroom with cold and hot running water, a comfortable twine or queen beds. All the lodge tents can be reached by a wooden boardwalk from the reception. The camp is entirely powered by solar, with a solar hot water system. The lodge meals are served on time for instance Breakfast is served from 5.30am onwards in the dining room. Breakfast mainly consists of homestead bread, local fruits, condiment, and eggs. Lunch is not included in the lodge rates however a limited lunch menu is available to guest on request. For visitors who plan to spend most of the time in the park, pack lunch is organized for them. At the lodge dinner is served at 7:30pm but before this time, there is pre-dinner drinks and sacks at 7:00pm Guests are requested to join us in the lounge for pre-dinner drinks and snacks at 7pm. Dinner is a set menu, freshly prepared by our lodge chefs, and will differ daily. Examples include a braai with a selection of meats and salads, a variety of gourmet pizzas, or a selection of potjie dishes, followed by a desert of the day. 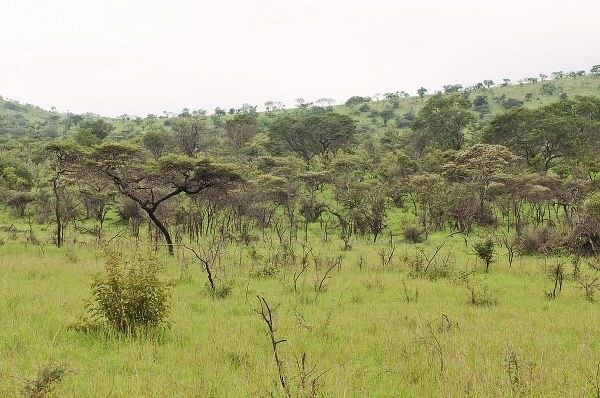 Akagera National Park consists of a total area of 1,200km² and it is one of the ancient and oldest national parks in the great Africa Continent. The northern section of the park is commonly occupied /covered by fairly savannah plains and the low-lying grasslands which combine to constitute the park indistinguishable from other traditional/ancient safari destinations of East African region. 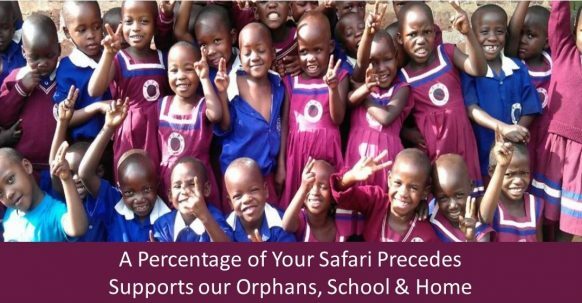 On the western section or part of the park, it’s en-compassed with rolling hills and valleys while the eastern side supplies and feeds arrange of papyrus swamps, marshes and lakes that constitute the vast protected wetlands in the east and central Africa. The altitude in the park varies between 1300 and 1825 meters above the sea level with the highest point at Mount Mutumba (1,825 m). The topography of the park is characterized by rolling sandstone hills in the west, cut in places by deep, narrow valleys. The vegetation of the park is extremely varied and, indeed, has been described as the most heterogeneous savannah ecosystem and habitat in the region with open savannas, flood-plain vegetation, swamps and lakes, river valley, etc. At least 525 species of birds are known from the park, reflecting the extremely wide diversity of habitat. These include 44 species of raptor including Bateleur, many Palearctic migrants, amongst which Falco naumanni, Gallinago media and Glareola nordmanni have been recorded. The park also boasts of wide-range of wildlife species including the Herds of elephant and buffalo that thrive from the woodland to drink at the lakes, spotted hyenas, a stray lion, Giraffe and zebra that wander through the savannah, a dozen types of antelope as well as chestnut-coated impala, diminutive oribi and secretive bushbuck, eland. The park’s diverse vegetation full of wildlife complements the afro-alpine habitats of Volcanoes National Park in the north and the humid forests of Nyungwe National Park in the southern part of Rwanda.